The Indian women's hockey team will play their Pool B match against Kazakhstan. Vinesh Phogat on Monday became the first Indian woman wrestler to win an Asian Games gold after she defeated Japan's Yuki Irie in the 50-kilogram women's Freestyle final. This was India's second gold after wrestler Bajrang Punia bagged one in men's 65kg on Sunday. 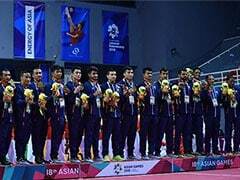 With this, India rose to the seventh spot in the Asian Games medal tally with 2 gold, 2 silver and 1 bronze. India's shooter Lakshay won the silver medal by finishing second in the men's trap final. The 20-year-old got 43 points to finish second behind Chinese Taipei's Kunpi Yang, who equalled the world record score of 48. How do I watch India's Day 3 Events live? India's Day 3 Events will be telecast live by the Sony Network. What time will India's Day 3 Events start? 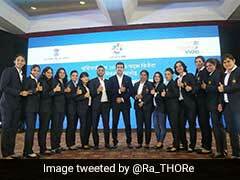 The first event involving Indian athletes is scheduled to begin at 7:00 am IST. Where can you follow India's Day 3 Events online? All Asian Games 2018 Events will be streamed live on Sony Liv. 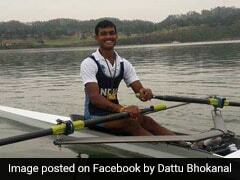 For live updates, you can follow sports.ndtv.com.